In a small; remote mountain top primary school in the Kenyan bush; hundreds of children are jostling for a chance for the free education newly promised by the Kenyan government. One new applicant causes astonishment when he knocks on the door of the school. He is Maruge (Litondo); an old Mau Mau veteran in his eighties; who is desperate to learn to read at this late stage of his life. He fought for the liberation of his country and now feels he must have the chance of an education so long deniedaeven if it means sitting in a classroom alongside six-year-olds. Moved by his passionate plea; head teacher Jane Obinchu (Harris) supports his struggle to gain admission and together they face fierce opposition from parents and officials who don't want to waste a precious school place on such an old man. 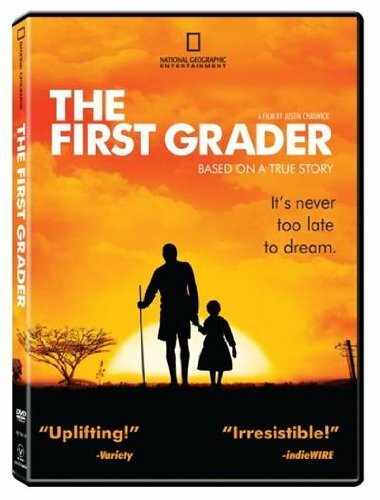 The First Grader is a heart-warming and inspiring true story of one man's fight for what he believes is his right in order to overcome the burdens of his past. It is a triumphant testimony to the transforming force of education.